We Philadelphians typically like to think of our town as the true capital of Pennsylvania, and with a lengthy bucket list to accomplish in Philly alone, you’d be tempted to never stray. 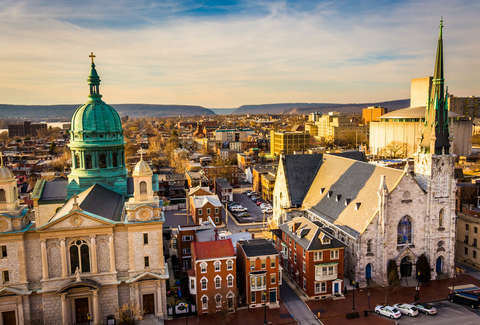 The reality, however, is that there's a heavy dose of history and heritage to be seen and experienced in our state’s actual capital, Harrisburg. History and old houses aren’t the only attraction, though, as the city hosts a bustling Downtown and an endless supply of diverse eating options, locally made beverages, and repurposed buildings now home to a growing artistic culture. Take a break from road tripping to PA’s small towns, and head for the keystone of the Keystone State. Just because you’ve left Philly doesn’t mean you have to sacrifice your love of local craft beers. Appalachian Brewing Company, with brewpubs in Harrisburg, Gettysburg, and elsewhere, is a good stop for testing out the season’s special brews -- the anniversary Maibock is a must-have -- and homemade sodas, too. 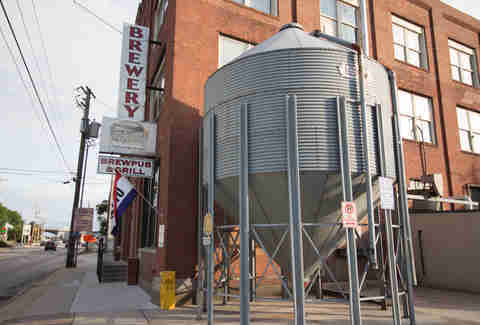 The brewery is housed in a renovated 100-year-old building, and celebrates its 20th year of existence in 2017. Zeroday Brewing Company is another essential stop for Pennsylvania beer lovers, offering an array of house beers alongside wines and ciders from around the state, as well as a food menu that includes Lunchables for adults. The Lancaster Brewing Company also has a Harrisburg location, so you can experience brews from elsewhere in Central PA while you’re here. Philadelphians may be imagining a rowdy boardwalk when they hear the word “Wildwood,” but in Harrisburg it’s a whole other thing. 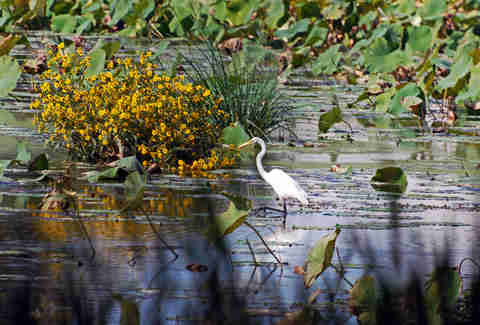 Wildwood Park is home to dozens of rare and near-extinct flora and fauna species, as well as hiking trails for all fitness levels. You can also expect seasonal events at the park’s Nature Center to help you nerd out over woodland creatures, as well as daily updates from the crew to pinpoint you to the day’s noteworthy sightings. The Boyd Big Tree Conservation Area runs through Harrisburg to provide sanctuary for older trees and their habitats; you can also enjoy 12 miles of trails and seasonal outdoor activities, from chasing butterflies in the spring to ice fishing and cross-country skiing in the winter. What makes these trees so mystical is the sheer volume they cover -- the conservation area is approximately 1,025 acres. Dozens of tree species get the chance to grow tall here, making a run through the area’s multiple nature trails even more of a treat. There are plenty of nooks and crannies to get lost in while exploring Midtown Scholar, Harrisburg’s destination for all things literary. Reasonably priced new and used books flood the shop, which also doubles as a cafe and a performance space, so losing an entire afternoon here is a distinct possibility. The acclaimed indie store, which has been attracting readers for 16 years, also hosts tons of visiting writers for your bleeding lit-nerd heart. 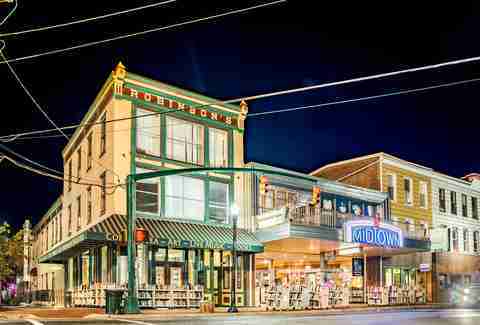 Also, true to form for Harrisburg, the bookstore's in a building that previously housed a post office, a movie theater, and several other businesses. If you're all brewery'd out, vodka and gin are also options at the Midstate Distillery, the first of its kind in Harrisburg, where visits come with a free tasting. Brothers-in-law Dan Healey and Brian Myers opened the distillery last year in an older building that they renovated (a common theme in Harrisburg), complete with tasting room and cocktail lounge -- don't miss the Midstate Mule, which mixes Appalachian Brewing’s ginger beer with a choice of Midstate's spirits. 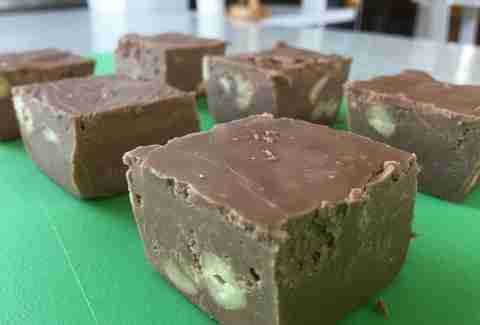 One of the best perks about a stop at Midstate is getting your fix of sweet treats from PA Fudge Company, which are served on the premises, and include homemade, booze-soaked fudge. Right in the midst of Central PA sits an Italian hideaway, Alvaro Bread & Pastry Shoppe, where you can gorge yourself on pastries made from traditional Italian recipes, as well as filling pasta dishes that'll leave you with plenty of beer money in your pocket, like $9 lasagna or penne with stuffed meatballs. 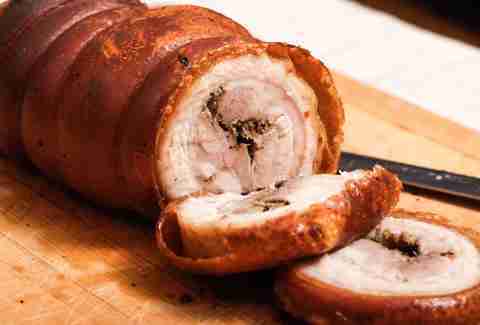 Just because Harrisburg is in Central PA doesn’t mean it’s lacking culinary diversity. Some of the best restaurants in town are the Vietnamese Pho Kim’s, the aptly named Korealicious, and Japanese spot M Sushi House. You’re also covered for Indian food at Bollywood Bar, and Bangkok 56 is the place to get your Thai fix on. If you thought visiting a smaller town than Philly would make your dining options simpler, you were very, very wrong. Check out one of the oldest continuously operating markets in the US, The Broad Street Market, for everything from flowers to African cuisine to pierogies to fudge to kabobs to jewelry to... well, you get the idea. Some Philadelphians might be quick to boast that it’s no Reading Terminal Market, but Broad Street's absolutely a worthy counterpart. Vendors to keep an eye out for include Vie Chevre, which sells one-of-a-kind soap products using local farm ingredients, the traditional Greek eatery Phyllo, and the no-explanation-needed shop Fudge-O-lutely. The Sturges Speakeasy offers the best of both worlds, welcoming patrons in the mood for pub food and craft beer, but also providing the seating for a proper multi-course dinner. Take your specialty cocktail (or pint from the carefully curated 16 taps of craft beer) to the outdoor deck to amplify the experience even further. Harrisburg in general doesn’t quite fit the "swanky drink metropolis" bill -- most bars and restaurants echo the city’s industrial and agricultural, bare-bones roots. At Sturges, though, you get a healthy mix of authentic, laid-back Harrisburg atmosphere with the added ambiance of the outdoor deck and surprisingly elevated menu (which includes a charcuterie plate and blackened salmon). Bonus: There's also brunch! 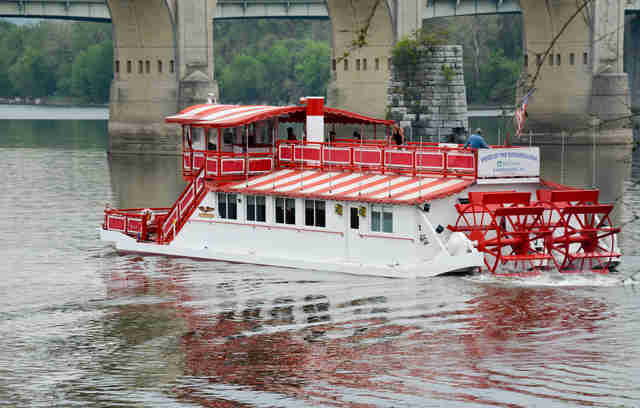 In the warmer months you can take to the water in the Harrisburg Riverboat, the Pride of the Susquehanna, which is one of six in the entire country with its paddle wheel design. It’s a fun, scenic way to take in the town while exerting minimum physical effort -- which is key, after all those cocktails and craft beers. As the state’s capital city, Harrisburg comes with a rich history that paints a vivid picture of the old United States. Some necessary historical stops include the Pennsylvania National Fire Museum, which periodically holds flea markets and other events, and the Simon Cameron Mansion, which was first built in 1766 and offers estate tours. Book a Windshield Tour if you’re thirsty for the scoop on what William Penn and his buds were up to in Harrisburg and Hershey back in the day. Of course, you’d be remiss to not stop by the capitol building of the state’s capital city, so make sure to plan a visit where you can watch house or senate sessions and admire the building’s remarkable architecture. The family-owned businesses of Harrisburg have some of the best stories to tell about the area, so take an afternoon to sample wines throughout Hershey-Harrisburg Wine Country. 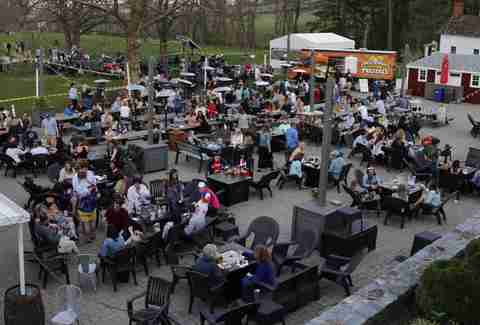 The Spring Gate Vineyard plays host to live music and food trucks that complement tastings on the farm estate, while West Hanover Winery is all about value: A mere $4 gets you six different wine samples, and if you shell out an additional $2, you get 15 different wines. If that’s not enough to entice you, spend $8 and you get a whopping 20 wine samples and a free wine glass to remember your experience there once it becomes a bit hazy. Yes, the Susquehanna Art Museum is the only one of its kind in Harrisburg, exhibiting mixed media pieces in a gorgeous reclaimed building that once served as a bank -- because every building in Harrisburg used to be a bank, apparently. The museum is a centerpiece of Harrisburg’s growing Midtown district, where a greater number of new restaurants, bars, and businesses are finding a home within the city. A visit here also helps benefit the museum’s charitable education programs and youth classes, so you're practically saving the future by going. Marielle Mondon is a writer from Philadelphia. Follower her @MarielleMondon on Twitter and Instagram.